Is Your Horse Happy? Or Are They In Pain, Confused, Depressed or Ill? You may think everything is ok… but, is it? They welcome you when you go see them, they demonstrate how happy they are to work with you, they enjoy their work and miss it if they don’t get to do it fairly often, and they try with a willing heart to do whatever you ask of them. If your equine friend doesn’t fit in this description, then there is work to do. Does your horse exhibit any of the following symptoms? If so, there is something very wrong in their world — whether it’s mental, emotional, physical or a combination. How are your issues affecting your horse’s health & well-being? Your animals are always affected by you, their caretakers. They are either in reaction to you and your issues or they may be mirroring your own issues in their own body, mind and spirit. If you aren’t balanced and well, then they won’t be for very long. That’s why it’s so critically important to recognize your involvement and connection in order to assist them. Mystery Lameness Resolved & Problem Show Jumper Turned Around! Val also uses many other state of the art advanced healing modalities to support their (and your) return to health. 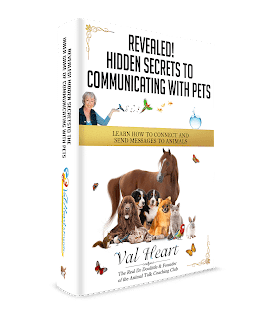 These include but aren’t limited to many forms of energetic healing, The BodyTalk System™ – PaRama Level and AnimalTalk, and the Heart Method of BodyMind Assessment™.